A brand new album entitled "A" is to be released 13th May. iTunes will offer the single cut today in New Zealand. 12th March it will be available through iTunes and Amazon in the United States. Check out my aStore link directing you to Amazon for a download price of $1.29 for "When You Really Loved Someone". Agnetha Fältskog and Anni-Frid Lyngstad with their Lifetime Achievement award for their ABBA-years. Anni-Frid Lyngstad and Agnetha Fältskog say they are very happy that the world is once again saying “Thank You For The Music”. They say they’ve enjoyed the renewed success and recognition Abba has had lately and are proud of the fact that Meryl Streep and other stars are singing their songs. But they won’t be making any new records. “I’ve rather lost touch with music,” says Agnetha. The couple happily toasted each other with champagne after their tumultuous reception at a gala evening in Stockholm last night when they were reunited to receive the Swedish newspaper Aftonbladet’s Rockbjörnen award for “Lifetime achievement”. They obviously still get on very well with each other and clearly enjoyed the chance to reminisce about the old days. Agnetha: We feel incredibly proud that the music never seems to die. A new generation likes it and that gives you great hope. Frida: We often get asked how things were with Abba Björn and Benny are generally thought of as the geniuses behind the band, but all the creative work was really done in the studio. We were a group of people. And it wasn’t just the four of us. Other musicians and technicians helped to create the Abba sound. We worked on all the details. All the harmonies. Agnetha: We did everything ourselves. It was a lot of work. Frida: That often gets forgotten. The creative work took place in the studio, spread over many, many hours. A fantastic amount of joy and togetherness went into creating our sound. What did you think of the public’s reaction to your appearance here tonight? Frida: I would like to put the record straight on one thing. A lot has been written about how Agnetha and I fought and quarreled with each other. There is absolutely no truth in that. Of course, we competed… but to good effect. Agnetha: No, we didn’t fight. But we have to live a whole lot of such misinterpretations. Frida: Abba wasn’t just about two married couples, you know. It was a little as though Agnetha and I were also married to one another! Frida: We were extremely considerate towards one another. How long is it since you last met privately? Agnetha: An awfully long time ago. Frida: Though it feels like yesterday. Agnetha: Yes, sometimes I dream about Frida. And sometimes about Benny and Björn, though in different ways. Frida: It’s a complex process. We have experienced so much and had such unbelievable lives, both professionally and privately. We are going to be dealing with this throughout our lives. It’s not something you can file away and forget. We were reminded of that tonight. We think of it with pride. Agnetha: Yes, there are so many different feelings. And it’s just the two of you who really know what you went through. Agnetha: Exactly. And as women, we experienced it in a special way. Agnetha: Speaking for myself, I sometimes suffered enormously from a bad conscience and longing for my children. It’s like Frida says, there were many mixed feelings and contrasts with Abba. Such as tours when we lived a life of luxury, then came home to washing up and cooking. Have you any thoughts of recording again? Frida: I was just thinking of asking Agnetha about cutting a new record. You made an album a few years ago. Agnetha: It’s difficult to feel motivated today. I have so many other things to do. I’ve entered a new phase in life. I’m a grandmother. So’s Frida. Abba is always there, though. I dream about Abba. It won’t ever go away. But one lives from day to day. I’ve come further and further away from music. Frida: It’s a giant step. Almost impossible to take. Agnetha: You can get the ideas and put them together – that’s fine. And working in the studio is fun. But then... then comes the question of releasing the final product. Frida: That’s it. That’s what you’re afraid of. Promotion and travelling – you don’t want to do that anymore. Agnetha: You’re just too old… haven’t got the strength. Do you listen to much music nowadays? Agnetha: There’s an awful lot really good music, and an awful lot of really bad music. I think Laleh is really good… and Robyn. Frida: I’ve liked Robyn ever since she started recording. I always said that girl would be big. The spotlight was mostly on you two in Abba. Then all the talk was of A and A. Lately it’s been mostly B and B.
Agnetha: Of course – they compose the music. Frida: But we really should do something to even things up. Agnetha: Exactly. Could you please arrange a picture of the two of us? Agnetha: Joking aside, we all four of us feel enormously proud, humble and thankful for what we’ve been able to give. The Lifetime Achievement award, for a Swedish artist, person or group whose work has had a major influence on the modern Swedish music scene, was made this year to mark the Rockbjörnen’ 30th anniversary. Order the Mamma Mia Soundtrack Now! A pleasant surprise today for ABBA fans and Agnetha fans. Agnetha attended the premiere of "Mamma Mia" The Movie. She was joined in a hug with Frida and Meryl Streep. The Gala premiere was previewed at Rival. You will find a link here for the article and a short film on Aftonbladet's web site. On July 7, Channel 3 becomes ABBA Radio, an exclusive channel dedicated to international pop super group, ABBA. ABBA Radio will debut exclusively on SIRIUS in conjunction with the release of MAMMA MIA! The Movie. ABBA Radio will broadcast ABBA music 24/7 for two weeks and will feature all the hits originally performed by the group. The channel will also feature tracks from the original cast recording of the hit stage musical phenomenon, MAMMA MIA!. In addition, SIRIUS listeners will hear two-time Academy Award®-winning actress Meryl Streep, Pierce Brosnan, and Colin Firth sing ABBA songs on the soundtrack to MAMMA MIA! The Movie, being released by DECCA, on July 8, 2008. The limited engagement channel will also feature stories and insights from former ABBA members Benny Andersson and Björn Ulvaeus about their many pop classics. The channel will also feature celebrity fans sharing their favorite ABBA music and personal stories, including stars from MAMMA MIA! The Movie Meryl Streep and Pierce Brosnan, as well as Dionne Warwick, Alanis Morissette, songwriter Desmond Child and Joan Rivers among others. For many of Agnetha's fans, the question was, "Will she or Won't she? Finally we all now know ! She did! While I read on several other internet forums the disappointment that Agnetha did not appear on stage, I am happy just knowing she went to the premiere and enjoyed herself! A special thank you goes out to Micke Andersson! Abba’s Agnetha speaks out: “I’m no recluse” Agnetha Fältskog has given her first full-length television interview since the late eighties, talking about Abba, money and her reputation as a Garbo-style recluse. Fältskog claimed that she feels relaxed when walking around Stockholm, and doesn’t mind when fans came up to ask for autographs. She denied that she has deliberately hidden herself away from public gaze, saying that it “just isn’t my thing to do interviews.” She also admitted that she has not recovered from her fear of flying, and told Bengtsson that she hasn’t flown for fifteen years. She confirmed that when she released her latest album, My Colouring Book, she made it clear to her record company that she wouldn’t travel around and do television interviews. The album was released early in 2004, and was her first collection of new material since the eighties. She told TV4 that after so many years she was “unsure whether the voice would still be there.” Despite that, the album was a success, and sold strongly around the world. Fältskog talked with fondness of the Abba years, saying she was grateful to have been involved. The band split up after it “stopped being fun”, she claimed, adding that things became harder after she divorced Björn Ulvaeus. She said that she could have carried on with the band for a few more years “if the pace had been a bit slower”. She downplayed the rumours, now part of pop folklore, that there was a rift between her and fellow singer Anni-Frid Lyngstad. She said, this was mostly made up by the media, although she admitted that the pair had different personalities. She said that she still had contact with the other band members, particularly Ulvaeus, with whom she has two grown-up children and a young granddaughter. She currently lives alone, but says that she has “lots of friends”. As for the future, fans can still live in hope that there will be more albums from Agnetha. She said that she sometimes thought My Colouring Book would be her last album, but added that she often came up with ideas for new material, so new records could not be ruled out. It seems, however, that lack of money won’t force her back to work. Contrary to rumours she insists that she still earns “enough money to get by on”, both from Abba and other projects. It was reported today in Aftonbladet that Agnetha will do an interview on Saturday morning, 18 December, on Swedish TV4. It will be a 40 minute inteview with Lasse Bengtsson. Agnetha's latest CD single from the CD "My Colouring Book" is expected to be released for radio airplay in December with the singles release to the consumer due in January 2005. "Sometimes When I'm Dreaming" will be the 3rd CD single released. It will be a Sweden "only" release from the information that I have gathered. I expect that both Skivhugget as well as the Official ABBF Fanclub will offer it for purchase to fans who live abroad. The link to view Agnetha's video for "If I Ever Thought You'd Ever Change Your Mind", has been added to this site. Thanks for all the requests and supportive emails for agnetha.net. At first I thought there were so many other sources available for this elsewhere on the internet, but now I feel it does belong here too because of the many emails I have received asking why it "wasn't" on here! Remember you will need to have Realplayer installed on your PC to view this. Just click Agnetha's picture and enjoy! In addition to Sweden and Finland, The TV Special "Agnetha" is now slated to air in Germany on May 31 at 6:30 pm on channel SAT 1 with a rerun June 5 at midnight on the same channel. Agnetha gave print interviews today over the phone! Look out for stories in Germany (Welt on Sonntag on Sunday, by Miss Vowlnkel). In Finland (Helsing Sonomat y vesa Siren), the UK (The Sun, by Sean Hamilton) and Australia(by Cameron Adams for the Herald Sun in Melbourne, Daily Telegraph in Sydney, Courier Mail in Brisbane, The Advertiser in Adalaide and other regional papers in Newcastle, Canberra, etc). Agnetha has produced a television special in connection with the"My Colouring Book," album that gives a glimpse into her feelings about the recording of her new album, her days with ABBA and her life throughout her years until today. The TV special also contains footage from the studio while recording the album as well as snippets from the videos that Agnetha has lensened in the process. An in depth personal interview with TV personality Latta Bromé was conducted in both English and Swedish and two versions of the special have been produced. Expect to be dazzled by this honest, frank, revealing and refreshing look at Agnetha and her fascinating life. The Swedish version clocks in at about 45 minutes and the international version, which contains English and English sub-titled Swedish, is 30 minutes. The special is slated to be broadcast around the world, but the first showing will be in Finland on Thursday, June 3 at 18:35 on TV2. The following day, Friday June 4, the special will air in Sweden on STV1 at 20:00. THE NEXT SINGLE - Renowned Swedish remixer SoundFactory (Emil Hellman) has just completed the remixes of the next single from former ABBA singer Agnetha Fältskog for worldwide release. "When You Walk In The Room" is the follow up to the first European single... "If I Ever Thought You'd Ever ChangeYour Mind" from her latest album " My Coloring Book". The first three mixes will turn up on cd-singles and cd-maxis with release expected in mid June. "When You Walk In The Room" will be the first single release from the album in the United States sometime early this summer. Warner Music © Today on Agnetha.se the facts of what is to come with her promotion of her new CD were released. On Friday night (April 9) former ABBA star Agnetha Fältskog will appear on Swedish talk show “Sän kväll med Luuk” (“Late Night with Luuk”) on TV4, Sweden’s leading commercial TV channel. Agnetha will be interviewed and the video for “If I Thought You’d Ever Change Your Mind” will be shown for the first time on TV. The video is part of a documentary about Agnetha Fältskog that she produced herself. Since her time with ABBA, Agnetha Fältskog is one of the world’s most famous artists. But she is also one of the shyest artists when it comes to media appearances. Her new album “My Colouring Book” will be released later this month. The song “If I Thought You’d Ever Change Your Mind” – now playing on radio around the world – is the first single from the album. There have been many rumors lately whether or not Agnetha will appear on TV. British talk show Parkinson and the Eurovision Song Contest have been among the shows speculated. But now when Agnetha appears on TV for the first time in a very long time, it will be on “Late Night with Luuk”. “This is a great honor. As far as I know Agnetha hasn’t appeared on a TV show in 17 years so I’m more than pleased that she chose to visit ‘Late Night with Luuk’,” Kristian Luuk said. Swedish rock band The Hives also visits the talk show on Friday to perform the new song “Walk, Idiot Walk” from their upcoming album. The program airs at 22.20, local time, Friday night. Following the show the interview and the video will also be shown on the web at www.tv4.se. The award winning talk show “Late Night with Luuk” has aired on TV4 since 1996. Kristian Luuk has been voted Best Male Personality five years in a row by daily newspaper Aftonbladet. Previous guests have been Swedish Crown Princess Victoria, Madonna, Swedish Prime Minister Göran Persson, Jennifer Lopez, Bruce Springsteen, Janet Jackson, Robbie Williams, Ricky Martin, Kylie Minogue and many others. Kristian Luuk is 37 years old and well-known from radio and television and since March 1996 he has hosted his own talk show. TV4, with a mix of drama, entertainment, current affairs, feature films and two daily news programs, is Sweden’s unrivaled market leader among commercial broadcasters, with more than 50 percent of the commercial share of viewing and close to 60 percent market share. 20 March 2004 Agnetha's New CD "My Colouring Book"
I have been notified by several people that a peek at the new cover for Agnetha's upcoming CD is loose on the net! I think it is a good cover keeping in the theme of her new CD. She looks wonderful! Agnetha, IT is good to see you standing in front of a studio microphone recording! As reported today in Aftonbladet, Agnetha will be joined by daughter Linda on some of the songs on her new CD "My Colouring Book", which is scheduled for worldwide release on 21 April 2004. The album is ready for pre-order on Skivhugget's record website! As I have suggested earlier, they are a good company to deal with, especially for those of us who won't have easy access in store to buy this album on its debut date! 8 March 2004 Agnetha SINGS! W O W ! In additional all of Agnetha's fans managed to knock the server out for a time at Warner's Official Site for her...:) Agnetha, YOU are 'da bomb" You GO Girl". Thanks for making this ONE fan and thousands of others extremely happy! The voice is JUST fine!!! The single will receive airplay beginning on 8 March. RIX FM in Stockholm will premeire the single at 7:30 AM. 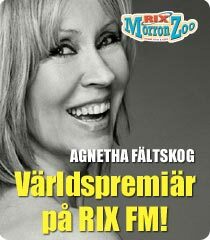 RIX FM radio state on their web site "Agnetha Fältskog actually has a new single and new album. On Monday morning on Rix MorronZoo (Morning Zoo) you can hear the exclusive world premeire of her new single, "If I Thought You'd Ever Change Your Mind". This is her first album in 17 years and we are proud to bring you the chance to listen on RIX FM and are pleased to be the FIRST before all others". Agnetha's new single can be pre-ordered online now from Skivhugget in Sweden. Skivhugget is an outstanding Record store located in Göteborg, Sweden. From my personal experience of dealing with this company for several years I give them a 10 star rating for detail to customer service. Agnetha looks W O W !! Warner Music Sweden released new promotional pictures of Agnetha. She looks fabulous! This is the real thing folks, Agnetha is ready for her comeback to music. Realizing how much I have missed her voice, I look forward to the anticipated release of her single. “If I Thought You'd Ever Change Your Mind.” It is expected to be released in early April with the CD to shortly follow on 19th April. This CD will be a world wide release. It is a very exciting YEAR for Agnetha fans. The new pictures from this session are in black and white. They can be found on the Gallery page or clicking on the WOW link above;-) I wish to thank the many fans and friends who have sent me supportive emails. It is humbling to be told how much you appreciate my work of love that is agnetha.net! It is the Swedish superstar’s first album since the 1987 Warner Music release “I Stand Alone.” That album was produced by former Chicago front man Peter Cetera. The album – an acoustic set featuring a complete orchestra – is co-produced by Agnetha with pianist and bandleader Anders Neglin and drummer/producer Dan Strömkvist. Agnetha fans may like to know that Sony Music in Sweden is considering a CD release of Agnetha's 1975 Swedish solo album"Elva kvinnor i ett hus," (Eleven Women In A House) after having "unearthed" old master tapes of the album. It is being considered for release late this year. It is a surprise for this fan after knowing how hard Royal Records had tried to produce this album for fans. At any rate, it looks like it will definitely be an exciting year for all Agnetha fans with so much to look forward to. With the "Mamma Mia!" musical going strong in 10 worldwide productions (three more will premiere this year) and the impending 30th anniversary of ABBA's Eurovision Song Contest victory, group member Agnetha Fältskog has signed a worldwide deal with Warner Music Scandinavia for her first album in 17 years. The news that Fältskog had returned to the studio to record an album of cover songs sparked intense courting by several interested record companies. WMS president Jonas Siljemark says the album, titled "My Coloring Book," will be released in the second quarter of 2004, preceded by a single. 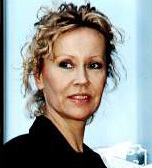 WMS has distributed Fältskog's recordings since she left the ABBA camp. "It is a thrill that we at Warner Music will work with an artist as fantastic as Agnetha," Siljemark said. "We are pleased that she will continue her relationship with Warner as Bo Frolander, our Scandinavian marketing director who was instrumental in securing the deal, was involved in her last album, [1987's] 'I Stand Alone'." Fältskog has co-produced the upcoming set with Anders Neglin and Dan Strömkvist. The first single, "If I Thought You'd Ever Change Your Mind," was originally recorded by Cilla Black. The title cut was written by John Kander and Fred Ebb and has been recorded by artists such as Brenda Lee, Sandy Stewart, Barbra Streisand and Dusty Springfield. Today agnetha.se has been registered by Agnetha Fältskog Produktions AB ©, in Sweden. I am very pleased to see that exciting things are happening for Agnetha. I have been a fan of hers since the sixties. When she became a member of ABBA, my admiration deepened. In 1996, I started to surf the world wide web. My first search was "ABBA" ....how well I remember the handful of websites that appeared. Most of them are no longer, but a few remain. I set out to make a webpage for Agnetha. I decided at the beginning it would only contain facts and it was made to honour Agnetha as well as become a source of information for other Agnetha fans. I was proud to be the webpage link for the one remaining fanclub that was dedicted to Agnetha, "The Official Agnetha Fältskog Worldwide Fanclub" who published quarterly issues to keep Agnetha fans informed. After many years it was decided to end this division for lack of news. "The Official International ABBF Fanclub" still exists and brings news to thousands of ABBA fans on a quarterly basis every year. What wonderful events the world wide web has brought to light. Fanlists, Fanclubs, many more ABBA pages, pages for Agnetha, Björn, Benny and Frida. Micke Andersson had the first Frida tribute page. Grant Whittingham has a marvelous page dedicated to Frida. Finally ABBA were "officially" graced by Universal Music Sweden with their own webpage. People have become friends because of their love for ABBA. I have met people through my love of ABBA and I have forged some lifelong friendships. The news today is not disappointing to me in the least. I think about how bright the future is for a renewed career! Agnetha has been missed! I welcome her back to music! I am happy enough with my page as it remains a record of this wonderful woman and the work she has done. Thank you Agnetha! For three years we waited for Agnetha's recording comeback. She has signed with Warner, says her spokesman, Staffan Lindé. It was Sweden's most confidential recording project. Work with Agnetha's new record was a closely guarded secret. The news about the former ABBA member recording a new record was echoed all around the world. Now she takes the next step. 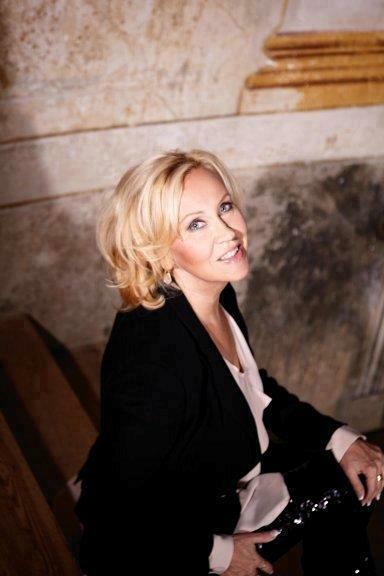 In the last few days Agnetha has signed a recording contract with Swedish Warner Music. "I can confirm she has signed for Warner", says her spokesman, Staffan Lindé. The record will be English Pop. The ABBA star has recorded at total of 22 songs and 14 or 15 will be released on this album. Work on the album began three years ago with ABBA`s former sound engineer. He suffered a stroke which interrupted the final recordings. Now, Dan Strömkvist is the sound engineer. Warner's webpage states that the album's name is "My Colouring Book" and it is scheduled to be released in March or April. This will be her first recording since 1987. The album highlights all the artists that have inspired Agnetha. In March Agnetha Fältskog will make a sensational comeback. Then the ABBA-star's first album in 17 years will be released. -It wouldn't surprise me if there will be more albums now, says her coworker Staffan Lindé. It's as close to a comeback as you can get. In great secrecy Agnetha Fältskog is recording a new album, with the producers Anders Neglin and Dan Strömkvist. According to Benny Andersson's and Björn Ulvaeus' coworker Görel Hanser, the former ABBA colleagues aren't participating in the work with the album. 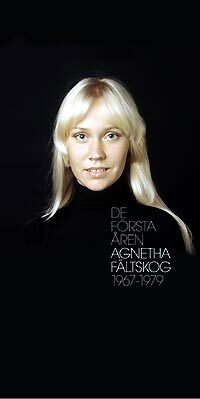 For the first time since the beginning of her career, Agnetha Fältskog has written some of the songs herself. -There is her own material, but I don't know if it'll end up on the album, says Staffan Lindé. Agnetha Fältskog herself thinks it's too early to talk about the recording process, so he's the one answering the questions. Staffan Lindé is the managing director in Agnetha Fä ltskog's own company and has worked with her ever since 1984. -Firstly, it was important to her to feel that her voice was still good and it was. Now she's very satisfied, says Staffan Lindé. The work on the album began three years ago, but was interrupted when ABBA's legendary sound technician Michael B Tretow suffered a stroke. About a year later the recordings resumed, with Dan Strömkvist as a replacement for Tretow. In January a first single will be released and then in March the album. A Swedish record company has already signed her and the international interest is enormous. -Since the news broke, TV-companies throughout the world have called, says Staffan Lindé. 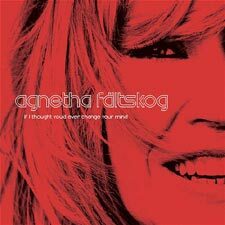 It's almost been 17 years since Agnetha Fältskog recorded an album. The star has lately lived a very secluded life on Ekerö, west of Stockholm. Speculations about her private life in the media have also made her avoid the limelight. But now she's preparing herself to once again talk to the media. -Earlier she hasn't wanted to agree to any interviews since she didn't have a project to talk about. Everybody has only been curious about how she lives, but she doesn't want to talk about her private life. But now she wants to talk about her album. Staffan Lindé describes Agnetha Fältskog as a happy individual, who looks forward to making a comeback. -Yes, really. She is happy and she thinks this is fun. ABBA's Agnetha Fältskog is putting the finishing touches on her first album in 16 years for release in March 2004. Basic recording of the album is finished, with final overdubs and tweaking nearing completion. A single is planned for release in January on an as yet undetermined label. Her last album was 1987's Peter Cetera-produced "I Stand Alone." The Atlantic Records set produced a top-20 Adult Contemporary hit duet with Cetera, "I Wasn't the One (Who Said Goodbye)." Fältskog quietly returned to the studio in 2000 with an idea of recording songs that have inspired her. The project was put on hold when trusted friend and ABBA sound engineer Michael B. Tretow suffered a stroke, but work later resumed with Anders Neglin. Neglin's credits include playing keys on Brenda Russell's "Get Here" album and transcribing ABBA's master tapes for the "Mamma Mia!" musical score. "Agnetha chose music that is very important to her from earlier in her life," Neglin says. "As we started to get into it we added our own color to the songs." Neglin brought drummer and producer Dan Strömkvist to the project in January. "We decided to produce the album together -- the three of us -- and we have worked since as a trio." Unlike ABBA co-star Frida Lyngstad, whose 1996 No. 1 comeback album was in Swedish, Fältskog's outing -- a 15-track acoustic set recorded with a full orchestra -- is in English and includes songs originated by legends Brenda Lee and Cilla Black. According to Staffan Lindé, who handles business affairs for Agnetha Fältskog Produktion AB, a label deal has yet to be confirmed, but the artist has licensed her post-Polar Music recordings to Warner Music Sweden. Tonight at 9:02 PM, Agnetha F&aunl;ltskog slid from the backseat of her car behind a secured zone to watch the Rolling Stones perform at Cirkus in Stockholm. She was seated in the VIP section alongside Marie Fredriksson and Per Gessle of Roxette Agnetha had purchased tickets for this performance well in advance. It is the first major outing for Agnetha in the last few years. She managed to attend and enjoy the concert in peace. She was not recognised entering the concert. After the concert she enjoyed dinner before returning to her home outside of Stockholm. As for this fan, I am overjoyed to see Agnetha look so happy. She has been through so much in the past few months. She looks wonderful!! I hope to see Agnetha enjoying life more and more as we wait for the release of her newest album this winter! A 37 YEAR OLD man deported from Sweden in 2000 after stalking former ABBA singer Agnetha Fältskog, was arrested outside her island hideaway near the capital, police said today. Gert van der Graaf, the singer's former boyfriend, was arrested last night on the island of Ekerö where Fältskog has a home, police spokesman Haakan Magneville said. Fältskog, 53, dated van der Graaf from 1997-1999. A restraining order was issued against him in 2000, barring him from trying to see or talk to the former ABBA vocalist, and he was deported to the Netherlands. He returned earlier this year to see her and was arrested after Fältskog's neighbours saw him near her home. "I love her still. I will never forget," he is quoted as saying by the newpaper Expressen today. It wasn't known if van der Graaf would be deported again. Fältskog divorced band mate Björn Ulvaeus, with whom she had two children in 1978. In todays "Aftonbladet", Staffan Lindé reveals Agnetha is going to release her new album in English.It has been 16 years since her last English album "I Stand Alone" was released. She has been working on this project in maximum secrecy. It is hoped that this new album will see a winter release. It's great news to many ABBA-Agnetha fans that this album will be in English! 16 years after "I Stand Alone", she is coming back with an English album. Sweden's most secretive recording project is taking form. This winter Agnetha Fältskog, 52, makes a comeback with a pop album in English. "She thinks it will be fantastic", says ABBA-stars spokesman Staffan Lindé. The project is surrounded by maximum secrecy. But now it is a fact. ABBA-star Agnetha Fältskog makes a comeback as a pop artist after 16 years absence from the music scene. "I will not say anything today", says producer and arranger Anders Neglin , who is working with Agnetha Fältskog on the recording project. 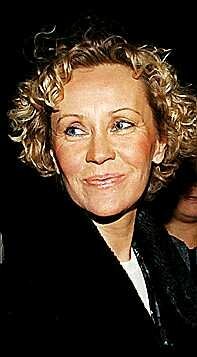 Agnetha Fältskog will turn 53 years old on Saturday. Her last new material was the album "I Stand Alone" from 1987. A comeback album with the star is naturally world wide news to millions of ABBA fans. The comeback is confirmed by Agnetha Fältskog spokesman Staffan Lindé. "We can say that she has started recording. Recording of the backing tracks is almost done and she will soon begin to record the songs". "Agnetha thinks it is fantastic. Perhaps things will be clear by summer or early autumn", he says. Many writers have been involved with the project, however neither ABBA-friends Björn Ulvaeus or Benny Andersson. However, Agnetha herself contributed with a number of songs. According to our source of information it is pop. "I won't go into details now, but most of the songs worked on are in English",says Staffan Lindé. Agnetha has withdrawn from the limelight for many years. Her shyness has created a Garbo-myth around the star. "But I think she will talk openly about the album in the future",says Staffan Lindé. "We will see, but it clear that those that want the album will buy it". In an interview appearing in Norway's newspaper "Aftenposten", Michael B. Tretow announces that Agnetha is working on her new album. This is good news because the team are all back at work. No announcement was made as to when the album would be finished.When Michael was asked the question, When will we be able to hear the results? he answered"When we're finished!" He reveals that Agnetha was uncertain of her singing ability, but is happy to work. They will co-produce the album. She will not use any of her own compositions, but instead will select from a large group of already submitted songs. It is indeed good news to hear Agnetha is in the studio singing again! In 1982, Agnetha wrote to “Dagens Nyheter"to emphasize her distrust of the press and their so called idea of reporting the truth about anyone that was in the limelight. I started to search for this article in the year 1996, but to no avail. I wanted it because I felt that when Agnetha's fans read it they would come to understand why she distrusts the press and also understand why she still feels that way today. I had all but given up on the idea of ever locating this prized article when Guy Higby contacted me through a good friend and asked if I would like to have this article for Agnetha's Page. It took several months for me to be satisfied with not only the translation into English, but in addition I wished the article to appear as closely as possible with the original that was printed in "Dagens Nyheter"in 1982. Finally I feel it looks as good as the original article. It has been a labour of love for several people. I wish to thank all of them for giving me this opportunity to share this with Agnetha's fans. The original Swedish was translated into English by Alexander Kardakov, Ira Kuleshova, and Guy Higby but later modified to more literally match the original Swedish. Again, I wish to gratefully thank Guy Higby for being patient while I awaited permission to show this article. Work on Agnetha Fältskog's new album has resumed. She really wants to proceed with this, says Agnetha's assistant Staffan Lindé. Last fall the work on Agnetha Fältskog's first album in 15 years had to be interrupted when a key person in the production team was struck with an acute illness. But now Fältskog's assistant Staffan Lindé reveals that the recordings will resume this fall. Hopefully they'll go into the studio this fall, because this person is up and about again and Agnetha really wants to proceed with this, says Lindé, who regularly meets the 52 year old singer. The song material is already finished. It's made up of 18 demo recordings which Agnetha Fältskog sings. The next step in the process is to eliminate a few songs since all of them won't fit on one album. After that, work on arrangements and instrumentation remains. Then the studio work can begin. - When the songs have been recorded, we'll go to a record company and ask: "Do you want to release this?". Any day now the Dutch ABBA book "ABBA On Speaking Terms" will be released. In it the authors say that they can publish detailed information about what songs will be on the planned album. The two authors also claim that they can reveal what the songs sound like. Lindé dismisses this as nonsense. -It's completely a fabrication, Lindé says and laughs heartily. How does Agnetha view her career these days? - I think she views her career as finished. But she's still a divinely gifted singer, and she's probably longing for it a bit. At the same time she's her own worst critic. There is still no reportable news about Agnetha's new recordings. I have promised an article from "Dagens Nyheter" and it will be uploaded very soon. I am very excited about bringing this to all ABBA and Agnetha fans. This certainly shows once and for all what stress Agnetha felt during the time of this articles' publication as well as why she distrusts the press so much even to this day. Soon and additional link to everything you would wish to know about Raskenstam will be added as this page expands. Today I will upload an article that was given to me by a very good friend to share with Agnetha's fans. It is very timely since it pertains to Swedish Children's authoress, "Astrid Lindgren", who passed away at her home in Stockholm on 28 January 2002, at the age of 94. This is an interview that I have never seen before where Agnetha and Astrid are introduced and interviewed. It is from 1981. It can be viewed by clicking on the link from the main page. The Letter to the press that Agnetha wrote to"Dagens Nyheter"in September of 1982 expressing her viewpoint of how she was treated will be uploaded soon. Also I have received several inquiries about Agnetha's new CD and if there is any news about the key person involved with this project who became ill. I can not relay any information as to this persons identity, but they are making a gradual recovery. I do not know when this work will go to production, but I am very pleased Agnetha has returned to her music! 28 November 2001 "Dagens Nyheter"
Gunnar Hellström, who is know to all of Agnetha's fans for being her leading man in "Raskenstam"died at age 73. He died at home of a stroke. He was a well know actor in Scandanavia. He was considered the Swedish James Dean. In 1983 he wrote, directed and starred in the movie "Raskenstam" with Agnetha. Agnetha played "Lisa Mattsson" one of his many love interests in the film, but the one he really wanted to be with. The ABBA-star Agnetha Fältskog's comeback is being delayed indefinitely. 18 demo recordings were finished before a key person in the production team was struck by acute illness. Now no one knows when the recording will resume. The work with the ABBA-star Agnetha Fältskog's musical comeback after 14 years of silence has been going on for a long time. She has recorded 18 demo versions of various songs and the work with selecting songs for the album and work on the arrangements was to take place this fall. Then one of the key persons of the production team fell ill.“It's very sad. Things were running smoothly for Agnetha and she was ready to work when this happened. So it was a great disappointment”, says Agnetha's co-worker Staffan Lindé. Both the voice and the material measure up. Now, Agnetha Fältskog, 51, is ready for a definitive comeback on an album after 14 years of absence. “Fun that she's back again” says ABBA-colleague Benny Andersson. Aftonbladet's disclosure 1.5 years ago spread over the world media like a bolt. The newspaper was able to report that she planned a comeback on a album, her first since “I Stand Alone” from 1987. Then just a low plan in the wind and that the ABBA-star had begun listening to new material. Today 18 demos recorded by Agnetha Fältskog.“We think it's fun that she's back, that her voice still holds and it sounds good. She's her worst critic”, says Agnetha Fältskogs coworker and manager Staffan Lindé. He goes on to say that this project is something that Agnetha really cares about. The joy has entirely decided the tempo in the work. For some time the plan was to start the recording session in November/December, but a sudden illness in the team around the ABBA-star has postponed those plans. Recording will likely start in the beginning of next year. How the "new" Agnetha will sound as well as who the songwriters are is still a secret. “But it sounds very good, as much as I may say” says Staffan Lindé. Agnetha Fältskog has for many years withdrawn from the limelight. The public appearances have been few. This has given her the description as a new Greta Garbo. ABBA-colleague Benny Andersson is surprised and glad when Aftonbladet reports Agnetha Fältskog's plans. “It sounds fun. I hope that she writes the songs herself. She should do that because she can.”,says he. thus far I have no idea if this forthcoming album will be in Swedish or English. My guess is it will be in Swedish. ABBA-AGNETHA GETS TO BE A BABYSITTER!
" It feels like a great challenge to be in a adventure drama as famous as "Pinocchio", which is being produced at Dramaten," says a radiating and happy Linda Ulvaeus, 27, new actress and musical artist, to Hänt Extra and continues: " So from now on it will be grandma and my fiancee Jens who will look after our little girl,Tilda, who now is 7 months old." Grandma in this case is world famous ABBA-Agnetha Fältskog, 51. Agnetha has become an excellent, responsible and needed grandmother. Proud grandfather is of course Björn Ulvaeus, 55. Linda’s fiancee is Jens Ekengren, 28, who works as a salesman in the mobile phone industry. They have been engaged for six years now. "And of course we will get married, when we feel for it," Linda told Hänt Extra earlier. Now she is facing the theatrical challenge, "Pinocchio" on the main stage of Dramaten, which opens on December 15th. It's a play for children and families. She will be playing against famous names as Ingvar Hirdwall and Irma Schultz. The story is, as everyone knows, about the wooden doll that comes to life. "I don't know what part I'll be playing yet, the rehearsals has just started. But maybe I'll get to use my singing abilities." In 1999 Linda was accepted at Teaterhögskolan in Stockholm, which is a 4 year course. "Now I'm on a break for obvious reasons, but I will go back to school as soon as possible," says Linda. Linda and Jens lives in a beautiful annex on grandma Agnetha Fältskog's spacious estate on Ekerö. Many thanks to Micke for sharing this article with us!